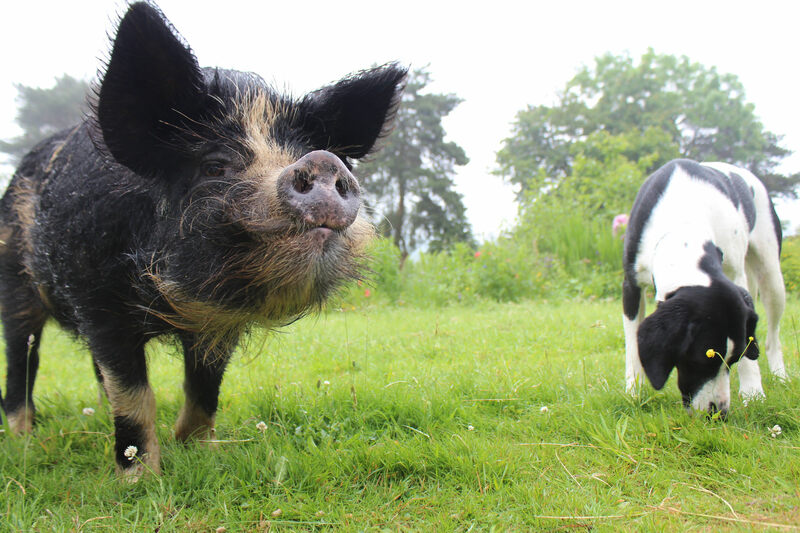 The only way you will change anything is to make people aware where their meat, poultry and dairy products come from, The billions of animals slaughtered per year and the mostly miserable, short lives they have. Why doesnt your organization get together with other similar organisations and form some kind of strong and coherant kind of “public awareness” of the livestock industry. You need graphic images and videos, of which there are an enormous amount available on the internet for example and these need to be shown to children in schools as well as the adult population. Why arent people doing more to educate the country on the livestock industry? There are more and more organisations like yours but why isnt the public being made more aware of what goes on in the livestock industry? 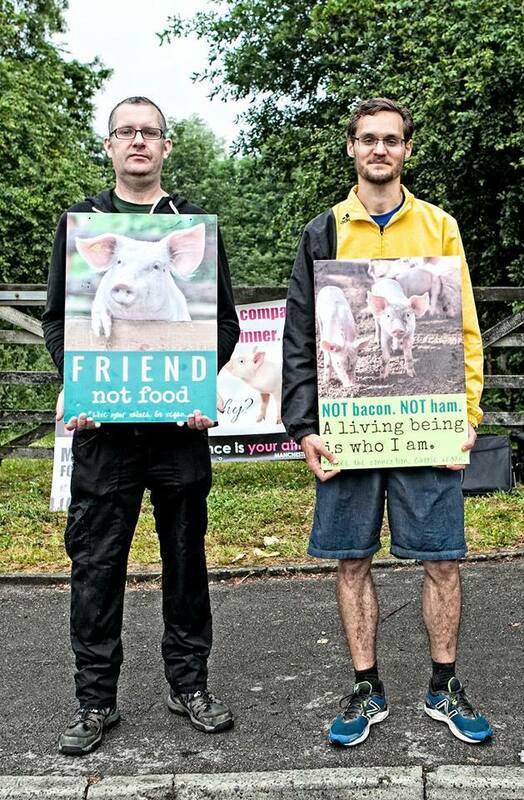 I can tell you if children were shown how pigs in the industry are reared from their birth to the actual slaughtering of the animal, they certainly would never eat another animal again. Sir Paul McCartney, for example is a vegan and has been for probably 40 years, but why doesnt he put some of his vast wealth into public awareness campaigns? He has the resources to do it. Why dont people try to get him behind their campaign? I know it isnt easy as the companies like Tulip are a business and private property but many of the tabloids have managed to expose some of this cruelty, so it is a start but much more needs to be done. Only graphic images and videos are the way you will make any impact on public awareness and you need to find a way of doing that! 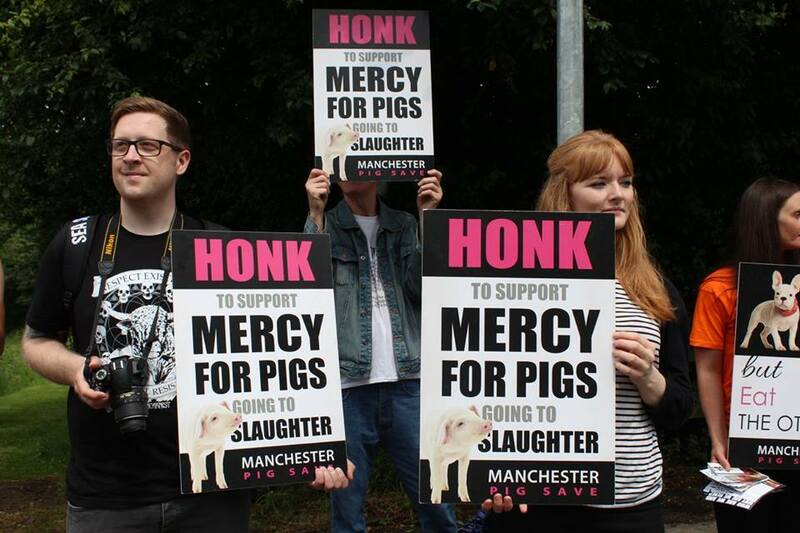 I attended Manchester Pig Save for the first time yesterday, Tuesday 18th October. Very distressing to witness, much more than distressing for the poor souls going to be slaughtered. 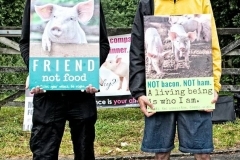 I will most definitely be attending again, and hope that more and more of the public will become aware of the suffering caused by humans desire to partake in this cruel practice by eating pig meat, in any shape or form.